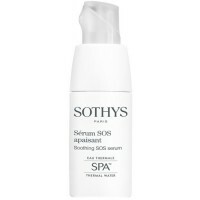 Melting cream, daily protection essential for the comfort of sensitive skin prone to dryness. This soft melting cream's star ingredient - SPA™ Thermal water* is a natural mineral spring water coming from a protected environment. It regulates the skin’s various physiological mechanisms, it slows down the ageing process of connective tissues and restores them, at teh same time forming a protective film on the skin’s surface. Day after day it protects the skin from external aggressions, soothes the skin and eliminates all symptoms of discomfort. The cream is paraben- and fragrance-free, without artificial colorants, hypoallergenic, dermatological and ophthalmological tested. Aqua (water), Glycerin, Dicaprylyl carbonate, Butyrospermum parkii (Shea) butter, Squalane, Glyeryl stearate, Cetearyl alcohol, Hydroxyethyl urea, PEG,30 stearate, Dimethicone, Cetyl alcohol, Panthenol, Propylene glycol, Olea europaea (Olive) oil unsaponiafiables, Butylene glycol, PEG,6 stearate, PEG,32 stearate, Glycine soja (soybean) oil unsaponiafiables, Triticum vulgare (Wheat) germ oil unsaponiafiables, Lecithin, Caprylyl glycol, Acrylates/C10,30 alkyl acrylate crosspolymer, Allantoin, Pentylene glycol, Coco,glucoside, Tetrasodium EDTA, Pollen extract, Sodium styrene/acrylates copolymer, Cestrum latifolium leaf extract, Tocopherol, Glycine soja (Soybean) oil, Caprylhydroxamic acid, Xanthan gum, Sodium hydroxide, Helianthus annuus (Sunflower) seed oil, Potassium sorbate, Sorbic acid, Rosmarinus officinalis (Rosemary) leaf extract, Acethyl tetrapeptides 15, BHT. This cream absorbs and soothes red irritated skin, and is perfect in combination with a light sun screen cream. A little bit goes a long way. It feels light and hydrating. I've been using this product for a number of years. There are very few products that do not exacerbate my highly sensitive skin, and this one is a gem! It leaves the skin feeling supple and hydrated. My skin can't handle daily use of anything, but using this 4 days out of 7 has great results. Soft, soothing and calming. This is a great cream for sensitive skins. Wonderful product to calm sensitive skin. Finally I've found a facial Creme for my sensitive skin, it has reduced the redness & leaves my face hydrated all day.. Will definitely be buying this again.. I have sensitive skin prone to dryness and this cream is one of the best I've tried. It soothes my skin and makes it feel hydrated. I only have to use a little bit of the product to moisturise my whole face. Definitely worth repurchasing.